I’ve a new addiction. It crept in quietly, relaxed my mind; now it’s got me by the throat. And: Yes, I never thought it could/would happen to me. 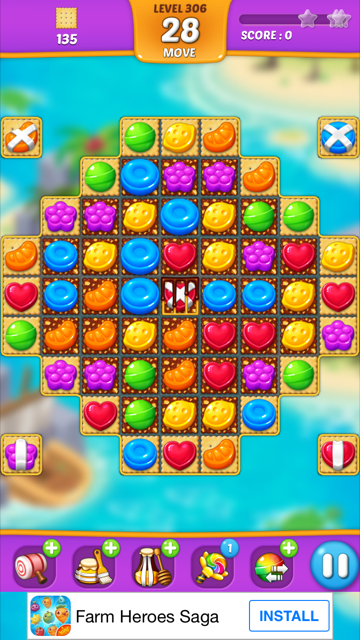 It’s a ‘match three’ game like (but not) ‘Candy Crush Saga’ accessed on my iPhone. 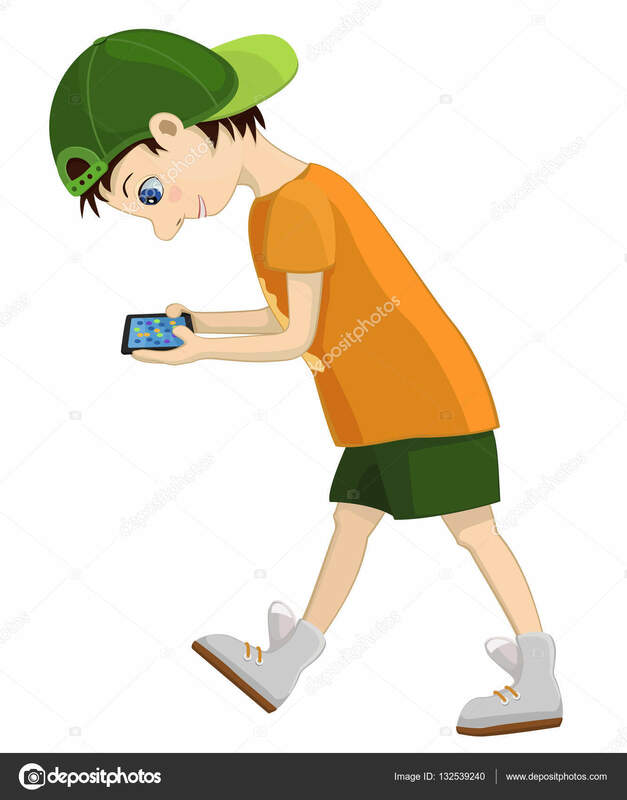 My main game is ‘Fruits Mania’ but sometimes I also play ‘Lollipop’ or ‘Honey Bee’ as a back up or when ‘Fruits’ becomes too difficult or frustrating. With my index finger (right hand) I ‘swap’ one ‘fruit’ (orange sections, lemons, limes) for another. I must get three of the same (color, type) fruits in a contiguous line. When done, they vanish from the board giving me credit/s toward winning or ending that game with a rush of noise and fireworks. Sometimes a swap causes a chain reaction, removing many ‘fruits’ from the board. There seems to be a million variants/mutations of ‘Mania’ as I painstakingly move into higher more complex levels of skill with alterations. Oh: All this is accompanied by irritating repetitive music, the kind of sounds one hears in a penny arcade (bells, whistles, sirens) or with ‘Angry Birds’ which (thankfully) hasn’t hooked me. 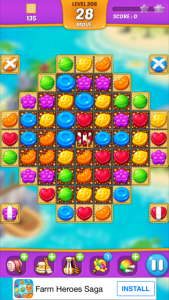 I’ve missed other incarnations of this ‘match three’ format with names like ‘Bejeweled,’ ‘Shariki,’ ‘Jewel Quest,’ ‘Chuzzle,’ ‘Sariki,’ ‘ZooKeeper,’ ‘Big Kahuna Reef’ and more. Just as well. Significant interference with work, school or relationships. Oh no! What now? Who’d have thunk it? Shall I awake and find all this a dream? I remember loving Tetris too much, planning when I would play it. Quitting 2 weeks later. That was 27 years ago. Do you think they give out chips? I bet the ones for quitting Fruits Mania are gorgeous. BTW the irony that you a self professed fruit hater plays fruit mania is not lost on me.